Press Preview: Wednesday 26th October, from 19:30 - late. Official Launch: Saturday 29th October, 19:30 - late. Public Opening Hours: Thursday 27th October - Saturday 29th October, 10:00 - 17:00. Faces in Focus is growing network for up and coming photographers to tell the stories that matter to the people who care. We provide a platform for photographers to exhibit their work, accompanied by a unique story that sheds light on their chosen cause. 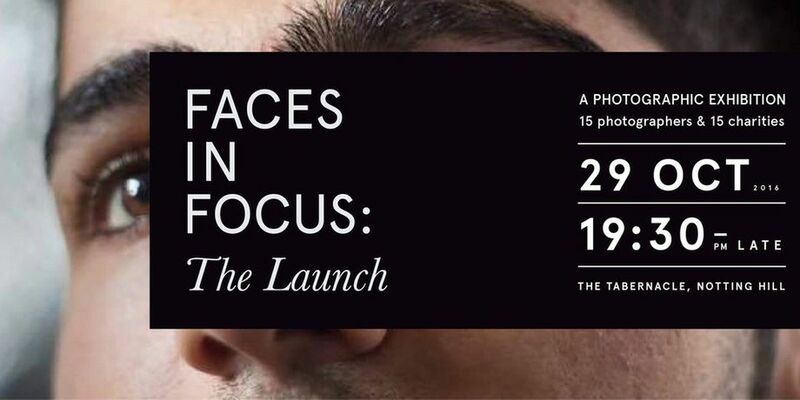 Join us at the launch exhbition of Faces in Focus at The Tabernacle, Notting Hill! From Syria to Sri Lanka, Colombia to Calais, emerging photographers have captured the world's most compelling stories, and worthy causes. Faces in Focus has provided a platform for photographers to sell and share their work in aid of charity. This photographic exhibition marks the launch of an exciting new venture: the collaboration of powerful photography, charitable causes and immersive storytelling. Featuring photographers such as Alan Schaller, Emily Garthwaite and Furkan Temir, whose repetoire of work spans major titles such as i-D Magazine, The Independent, The New York Times, Conde Nast Traveller India, The Guardian and It’s Nice That, the show promises to be a celebration of exceptional talent and inspiring stories.